I’m new to the Linux world and wanted to install Antergos on my Desktop. 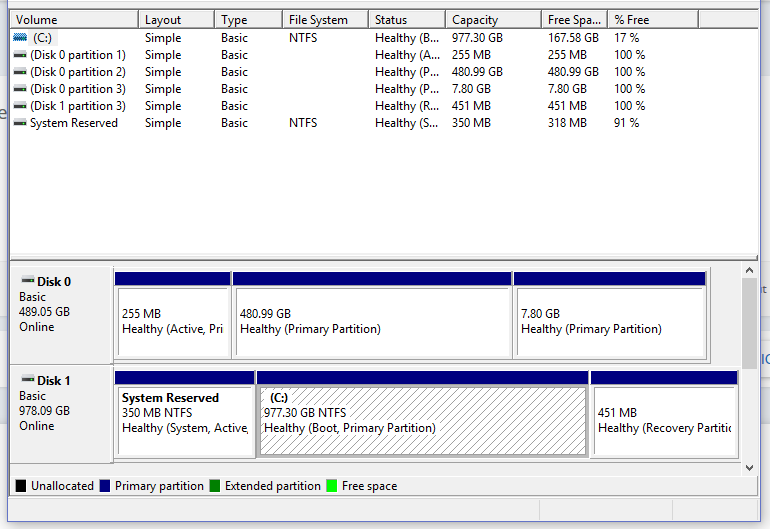 I’ve got a main SSD for Windows and a second one I cleared for Antergos. I created an install USB. followed the installation guide till it finished. When I reboot the system and boot to that SSD I get the Antergos menu asking me what I want to do (start Antergos, go to Win 10 or advanced mode) Whenever I start Antergos I get this. I’d put a log here but the instructions weren’t clear enough, so I hope this is okay. I’ve tried re-installing Antergos at least 4 times now and it hasn’t helped once. What could I be doing wrong? how do you partition and format space for Antergos? Disk 0 is where I installed Antergos. Do you choose LVM on install? or just the defaults? But i can guide you true this, if you know if you are getting EFI or legacy BIOS system? Sorry for barging in, just wanted to ask how did you create your USB installer stick? I just used the defaults for the install. My motherboard uses UEFI BIOS, I assume it’s just UEFI and ASUS is weird with naming. 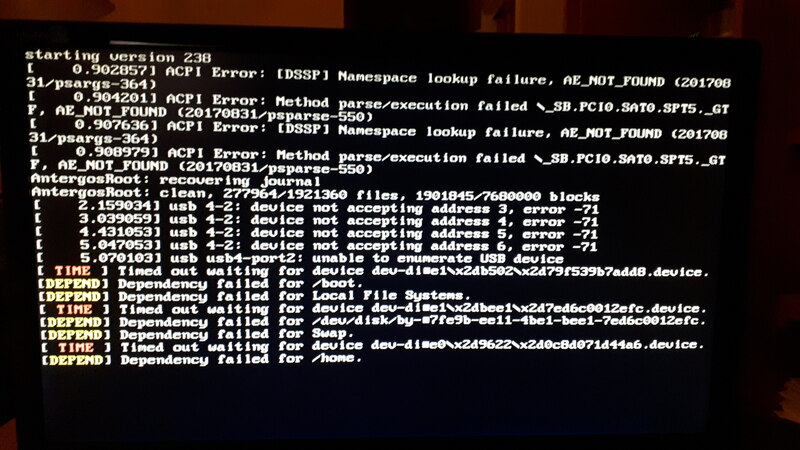 When I boot from the USB and click the “Antergos-live” option this error message comes up for about 4 seconds before going to the Gnome desktop. I don’t know if it’s always been there, but I think it’s shown up a couple of times when I’ve tried reinstalling. I’m going to try following those fix grub instructions now. 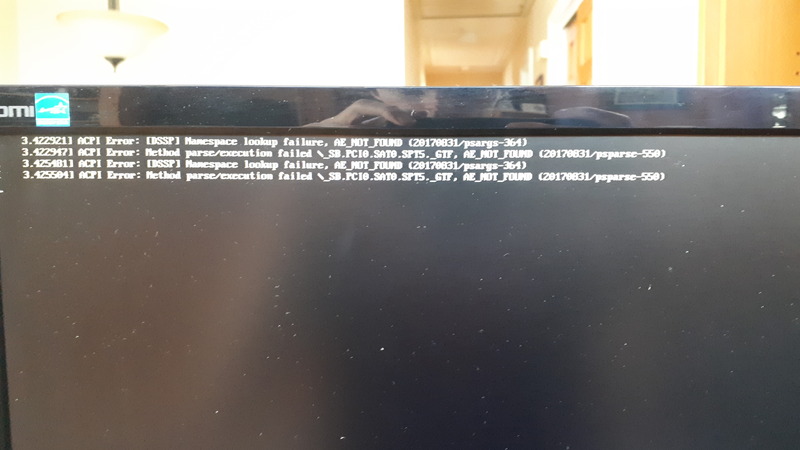 I ran the command in the terminal, in antergos-live on the USB, and this is what happened. After installing KDE Neon and Linux mint I’ve gotten similar issues in both of those distributions (Though Neon actually runs, still gets the error though). I’m going to assume it’s something with my hardware. May data cable for add is defective. It happened to before. I have a few sata cables that generate errors from time to time. Now they are not on the computer but that was my problem before.